There are plenty of security companies in market. Your security startup has to formulate a unique marketing strategy that works well to drive clients your way. 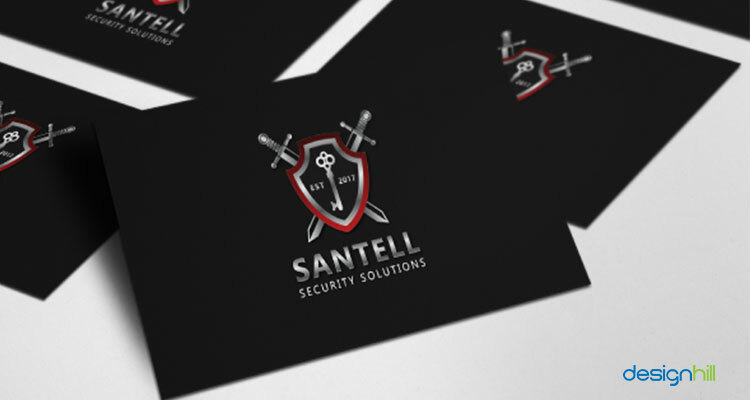 A remarkable logo design for your security company can do wonders in taking your business to more people. 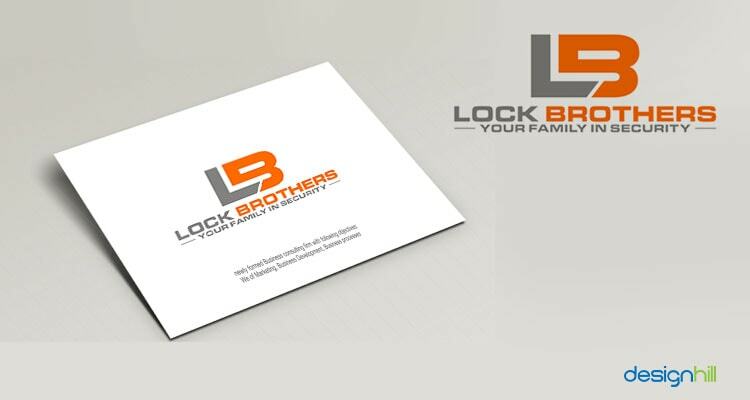 An inspirational logo design is certainly your asset to the growth of your security brand. Security companies provide security services to a variety of clients. Besides providing conventional security services, modern security companies provide expertise in cyber securities as well. In fact, cyber security is one of the biggest concerns of small businesses. According to a survey, 43 percent of cyber attacks are on small businesses. 64% of companies have experienced web-based cyber attacks. But security companies have to deal with a tough and competitive market environment. Many security service providers build a brand name by marketing their business carefully. When marketing their security services, the focus is primarily on creating an impressive security logo design. The logo design works as a distinctive visual identity of the business and company. However, security logo designs are not merely a symbol to identify a company. More than that, the logo designs have in fact turned into a brand-building tool. Every wise business owner will go the extra mile to create a trustworthy brand so that the target consumers repeatedly come back to the company to buy products or services. A logo helps in building a brand identity of a company and it is actually an effective way to win customer loyalty, which is so crucial for the growth of a business and security business is no exception to this rule. 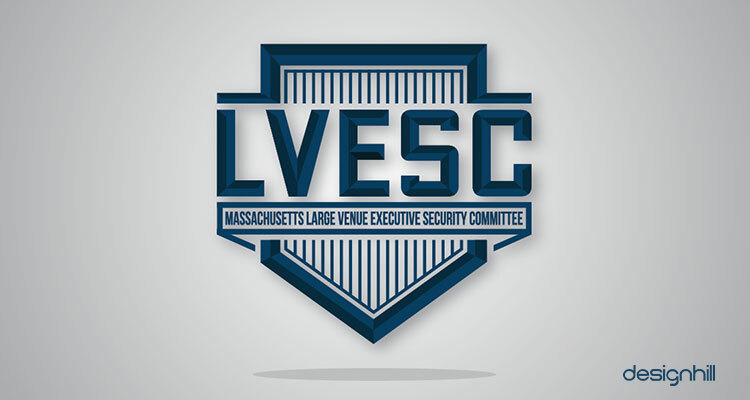 A professionally designed security logo has the capability to evoke a desired emotional response from the audience. The elements such as a carefully picked color scheme, typeface, images and possibly a slogan are key elements to catch the audience’s attention toward a brand message. Thoughtfully designed logos are capable of converting the people into loyal consumers, although branding and marketing plans also must be in place for logos to work for the success of a business. When creating a logo design, professional and experienced designers go through many phases. They usually research the client’s business profile, their target consumers, pick right colors and typeface, etc. elements that best convey brand attributes. Cyber security companies want to send a message that the clients can trust their services for a foolproof security of company premises and other locations. To create impressive logos, the designers need some inspirational concepts. The concept must be unique so that the logo stands out in the crowd. Only a unique logo can draw the attention of the consumers to a business. The security companies provide all types of security including social media security to clients these days. If you run a security startup, some advice on providing social media security will be useful to get from experts. All the conventional security symbols are present in this logo. There is a shield that is a powerful war symbol to protect warriors in a battlefield. Two swords are also part of the logo design. These conventional symbols immediately let people know about the company’s business. Looking for a security logo design? This logo is unconventional in its design approach. There are two sets of yellow arrows that symbolize the thought of protection for the viewers. 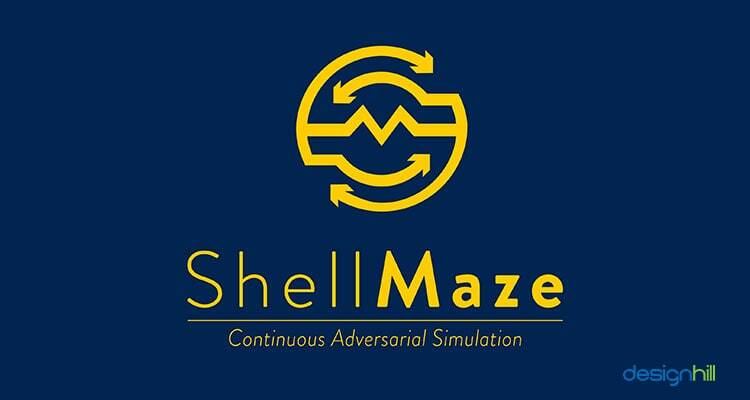 The company deals in continuous adversarial simulation, which is evident from its logo design. Such a modern logo looks impressive when printed on a business card design to convey a brand message. The conventional security symbol of shield shape is the basis of this logo design. There is an additional traditional element of an eagle that strongly conveys the security message to the clients. The eagle is a U.S symbol of watching the things with a sharp eye and having a close attention to everything surveyed. 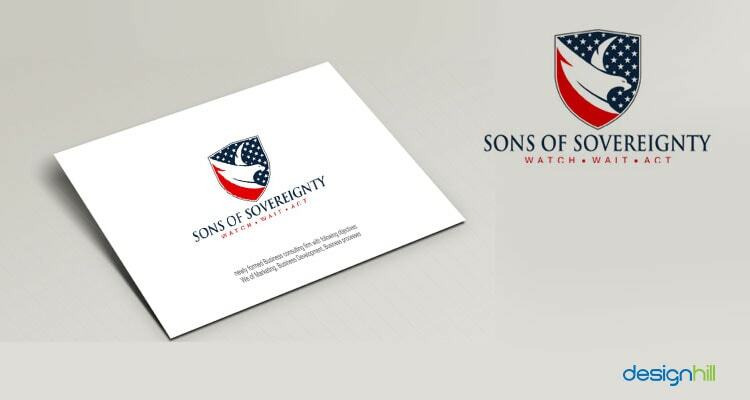 The U.S flag colors further make this logo a powerful design as it addresses the citizens’ security concerns. Make sure that your security website design also has such conventional security design elements. 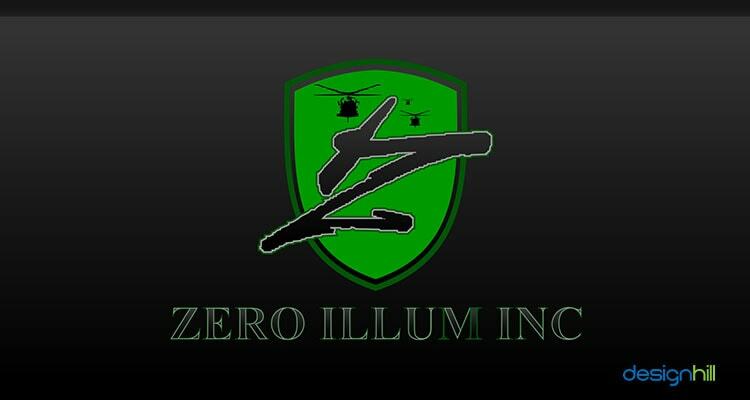 The Zero Illum Inc logo design is unique in many ways. This logo also uses the traditional security symbol of the shield shape. But the shield shape gives the impression of a watchful human face. The two helicopters form the two eyes. Z letter stretches to make the abstract features of the mouth, representing a security personnel. The green color of the logo stands or user-friendly services of the company. Make sure that the same logo features are incorporated in your company’s other graphic designs such as brochure design for the brand building. There is a keyhole designed with this logo. Keyhole is a symbol for keeping a secret watch. The logo has the often-repeated shield element. Since this company deals with security educational information sharing, the elements such as the book are incorporated into the design. 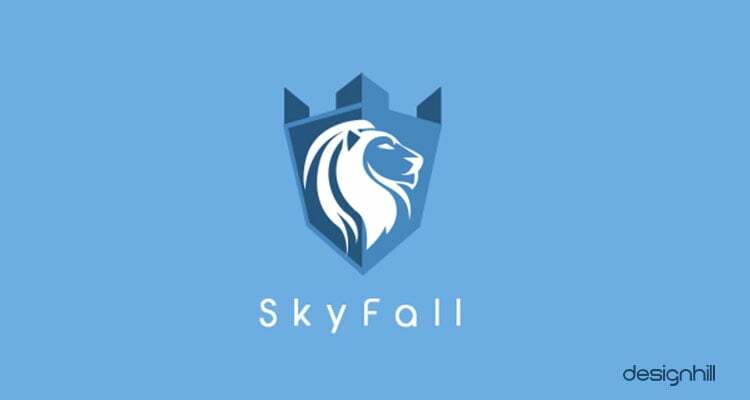 The Skyfall logo design also is in a shield shape. But the shield in the shape of a fort. Then, there is the powerful face of a loin. All these three strong elements convey a brand message of the company to its potential clients. This logo design also is in a shape of the shield but it is a unique shape. The shield is given a modern look. Such a graphic design that combines modern elements with conventional symbols look impressive and create logo and brand identity. 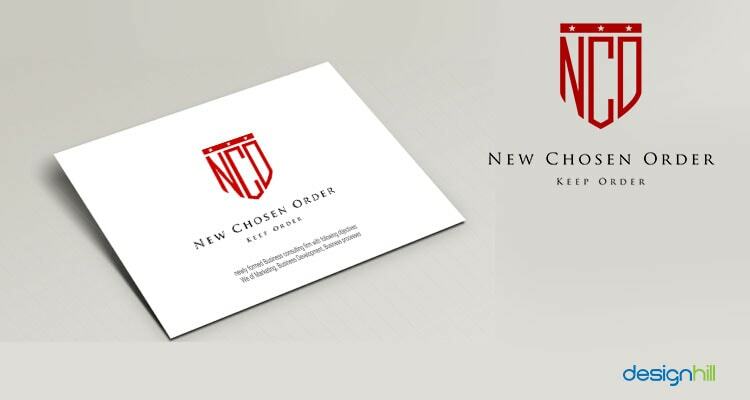 The New Chosen Order security logo is a logotype that has the initial letters of the company. The letters are shaped as a shield which is a proven conventional symbol of security. The logo has red as the sole color. Red evokes feelings of warning, passion, and aggression. 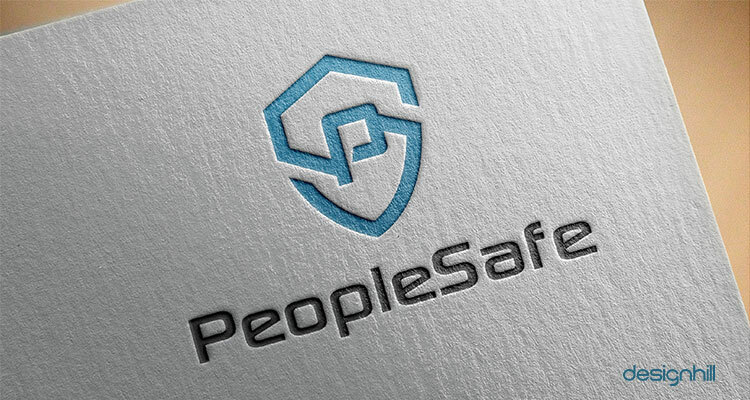 This security logo design is an example of the minimalistic approach to creating graphic designs. There are only the company’s initials that make the design. 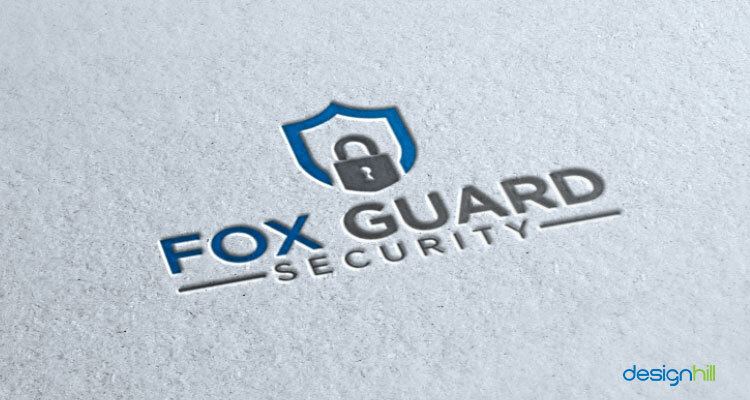 The Fox Guard logo has two conventional security symbols. 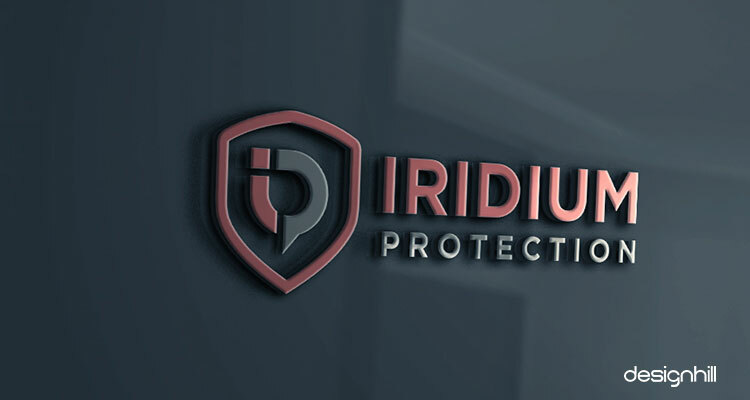 The logo is in a shield shape that conveys the message of the company delivering tight security and high quality services. The lock is another powerful security symbol that this logo uses beautifully within the shield shape. Make sure that your security company’s logo is flexible and scalable so that it appears equally impressive. When scaled up on a billboard design, the logo should not lose its sense of proportion. 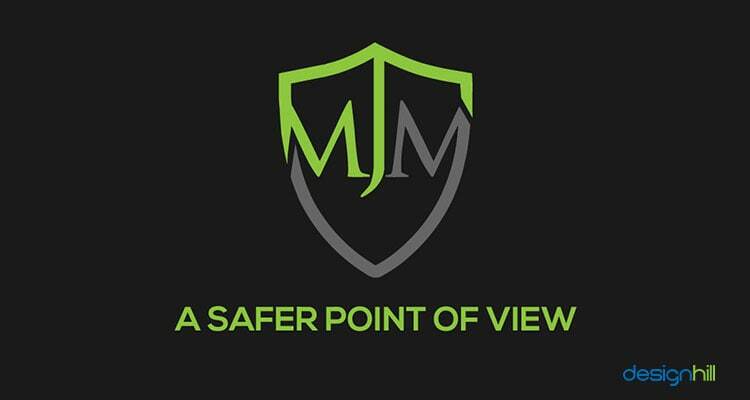 Traditional shield shape of most of the security logos is present in the MJM logo design as well. But the company’s initials are designed on the top of the shield as part of it. That makes this logo unique and stand out. 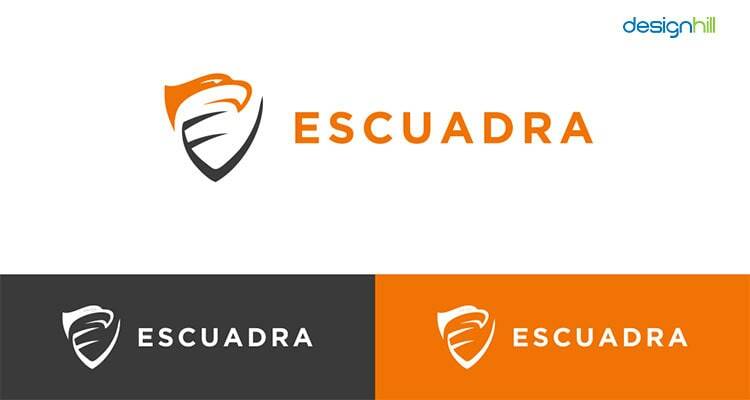 A combination of shield and eagle elements is the chief feature of the Escuadra security logo design. The eagle has been incorporated into the shield as part of it in an aesthetic way. 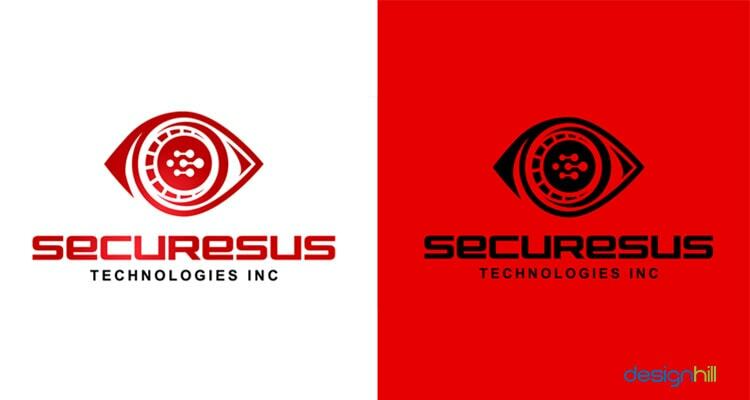 The Securesus logo in the shape of an eye, which is a conventional symbol of keeping a close watch on any event is a surveillance database and security incident reporting software that incorporates some. The organization offers cyber security services. It focuses on complete, total, and wholesome security services. The logo is in a popular shape that we find elsewhere such as Google Drive has a similar shape of its logo. 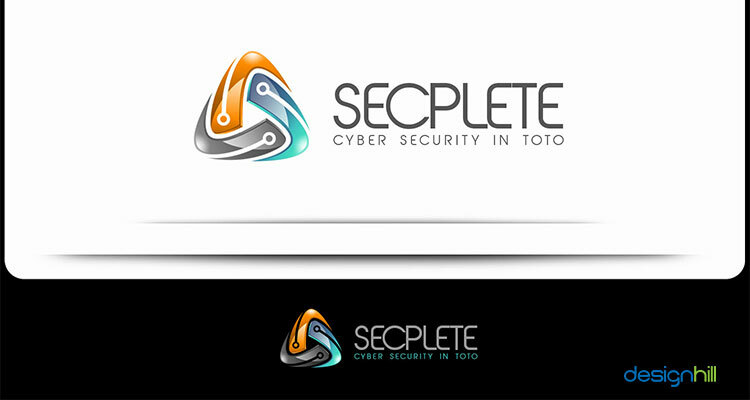 The Secplete logo is still a unique design due to the use of some elements of lines that stand for the electronic security. Such simple logo engages people easily with the company’s business. When you make this logo as part of your letterhead design or any other design, it helps in turning the business into a trustworthy brand. This logo is a simple design as there is only the use of letters L and B involved. The graphic designer depends heavily on the contrasting colors of brown and gray to give the logo an attractive look. The company offers security services to homes and families. 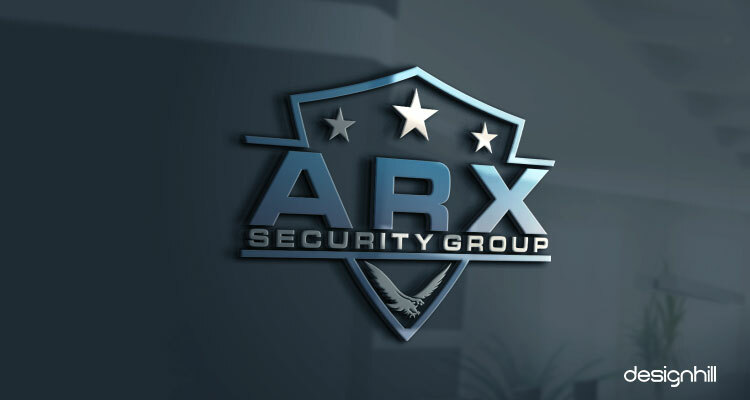 The ARX logo design has a conventional shield shape with three stars. The shield indicates security and the stars are the symbol for high quality of the services. There is an eagle also, which is a powerful bird and a symbol of keeping a close eye on the events. Another logo that has the traditional security symbol of a shield. But inside of the shield, there is another shield created in the form of the letters. The company’s initials I and R are shaped like a protection gear. Black is the color of power in this logo while the red stands for aggression. 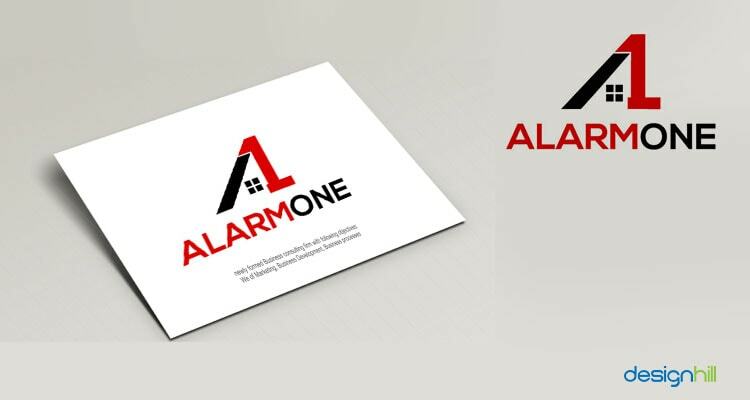 This logo has the company’s name Alarm One as basis for the design. There are four square as part of the design to symbolize the area under the vigil of the company’s security services. The black color stands for the power while the red indicates to aggression and passion. The Castle logo is in a shield shape. But there are some elements of a castle such as the wall at the top of the shield. The company’s initials are in the middle of the security logo design. Green is the color for friendly services of the company. 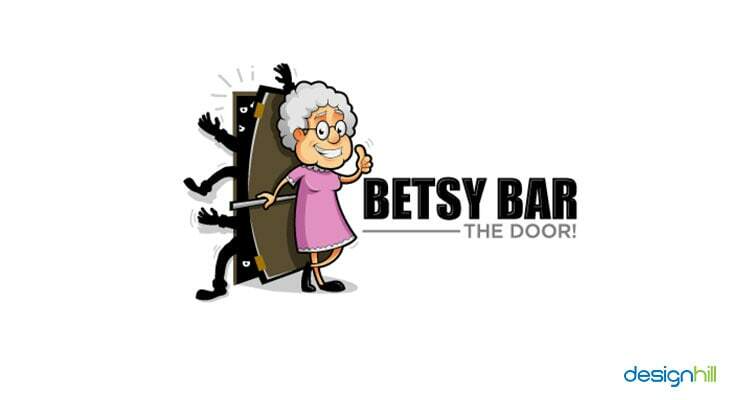 This logo has an interesting feature of an old woman defending her house from the thieves. 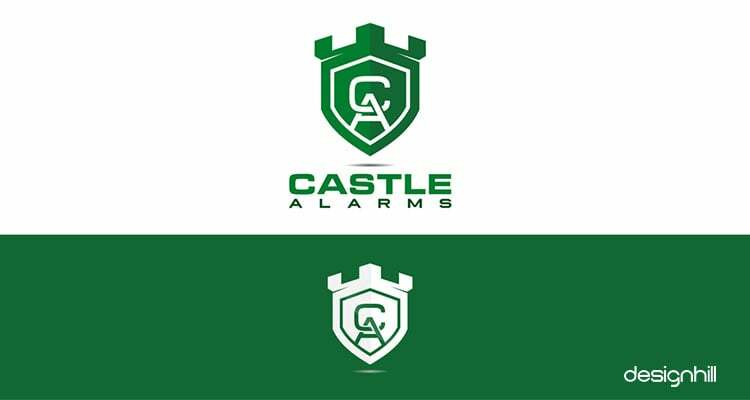 Because of the old women smilingly when defending her house, this logo becomes a unique security logo design. 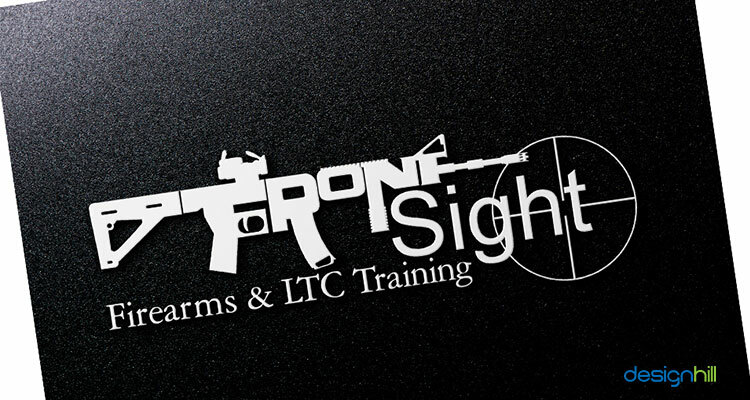 Frontsight company offers firearms and training services. This logo has the company’s name designed in the shape of a machine gun. There is a design of the target in the logo which indicates the training services that the company provides. 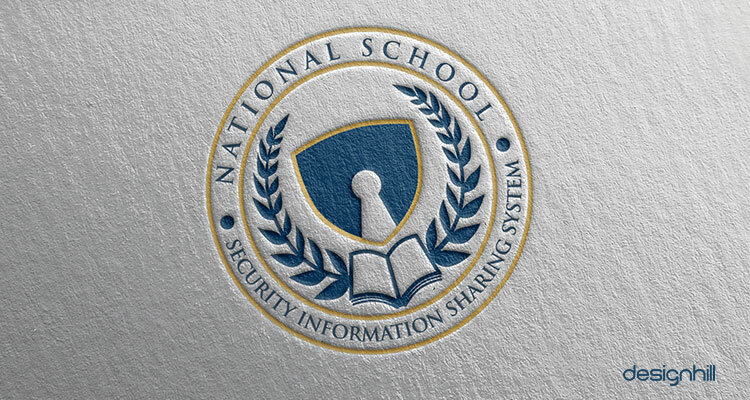 So, these are the motivational security logo designs from our compilation. Each such logo has a purpose of conveying the core brand message of the security company. Most of these logos have conventional security symbol of a shield but its shape is different to make the logos stand out. Choice of colors and fonts is for giving a new look to the logos. If your security startup is also looking for a logo design, then send your logo work to Designhill. This is an ideal crowdsourcing platform known for delivering cost-effective graphic design solutions. 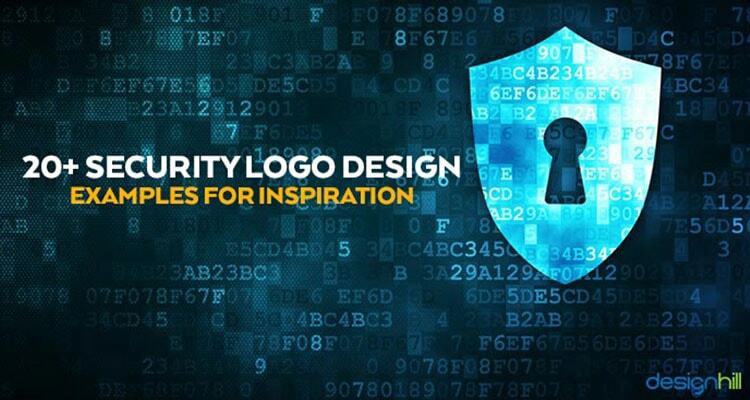 You will have dozens of graphic designers responding to your security logo design contest. They will come out with dozens of new design concepts. In a short period of a week or so you get a winning design for your company. But if you do not like the logos, you can always get back your money from the site with its 100% Money Back Guarantee policy. These security logos are inspirational due to the thoughtful use of conventional security symbols. Most of the logos use the shield and eagle as symbols to convey a brand message of providing tight security and relevant services to the clients.